Whenever I run early in the morning, I find myself getting hungry for a snack before lunch. I’ll have my normal oatmeal breakfast, have a snack bar mid morning and a late lunch. I would rather have higher calorie and nutrient dense breakfast that will keep me full until lunch. This week I switched things around for breakfast. It is still warm enough in the morning to enjoy a smoothie (it even feels warmer after a morning run), so I have to take advantage of it before Fall season officially arrives. 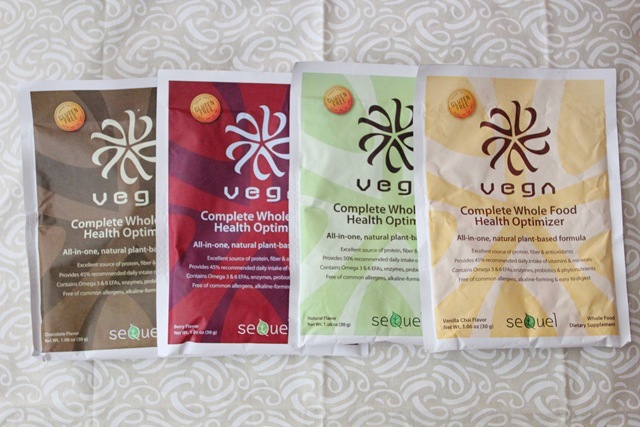 I was sent samples of Vega Complete Whole Food Health Optimizer so I can take the Vega Breakfast Challenge. 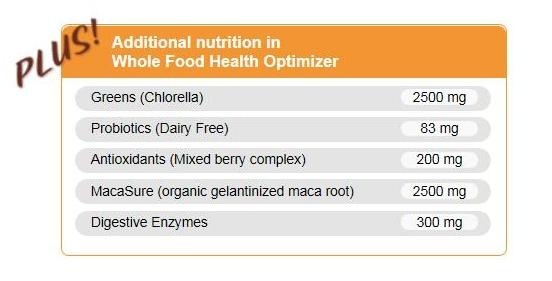 The challenge compares your typical breakfast to Vega products, in terms of nutrients. 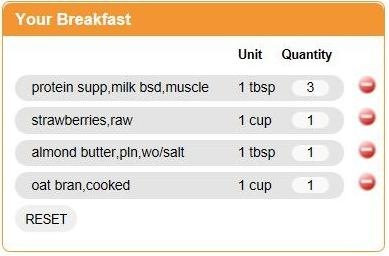 I entered my normal breakfast into an online nutrition calculator (you can do the same by clicking –> here). I love my bowl of oats, nut butter and fruit combo. I probably eat this 80% of the time. However, there are days where I want to start my day with an extra nutritious breakfast to power me thru the day. Vega WFHO is a great breakfast option. It taste great mixed into a smoothie and it is also gluten free, dairy free, and sugar free. 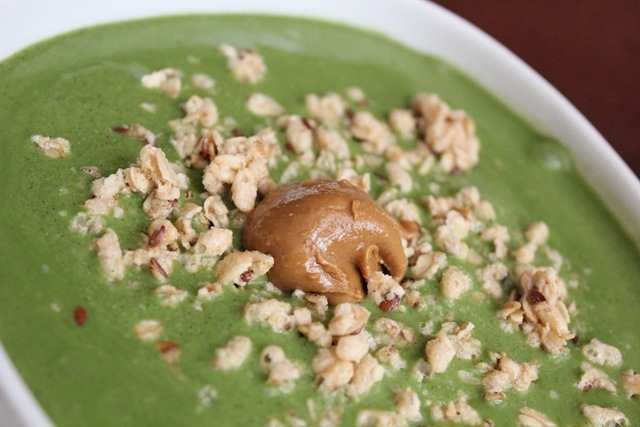 I made a thick green smoothie using the Vanilla Chai flavor. 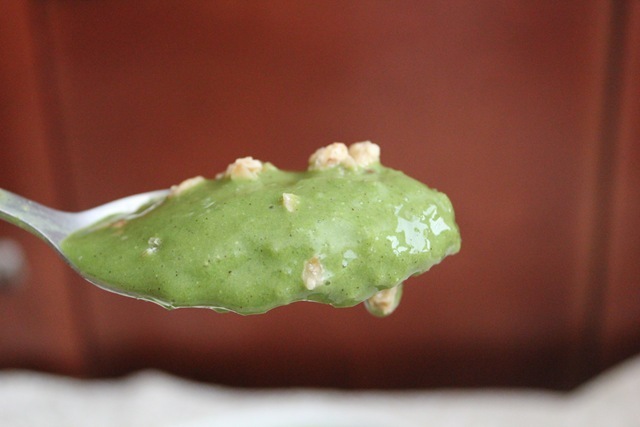 Extra thick smoothie that I loved eating using a bowl and spoon, topped with sprinkle of granola. 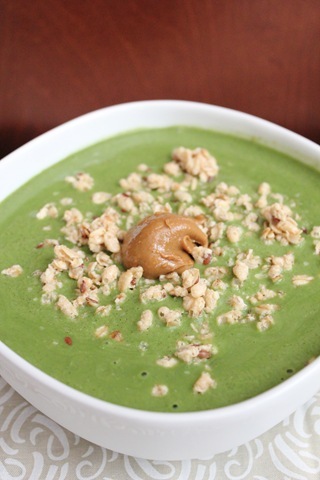 Smoothie in a bowl. 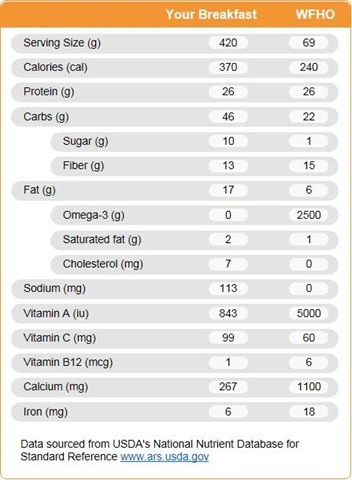 Here’s the nutrient comparison between my everyday breakfast and 1 serving/packet of the Whole Food Healthy Optimizer. The calorie count is not accurate on the right column because it doesn’t include my smoothie add-ins. 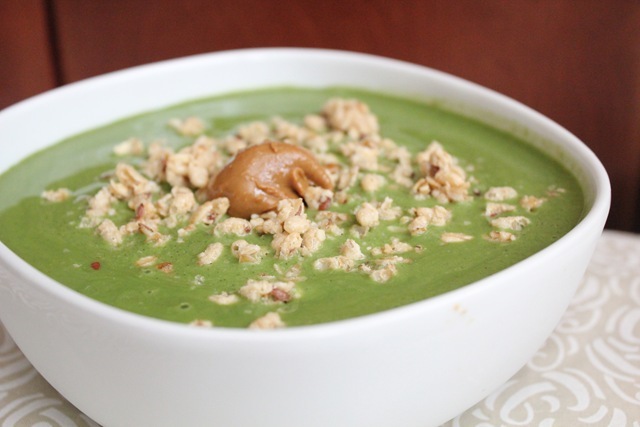 But look at the nutrients packed in one bowl? 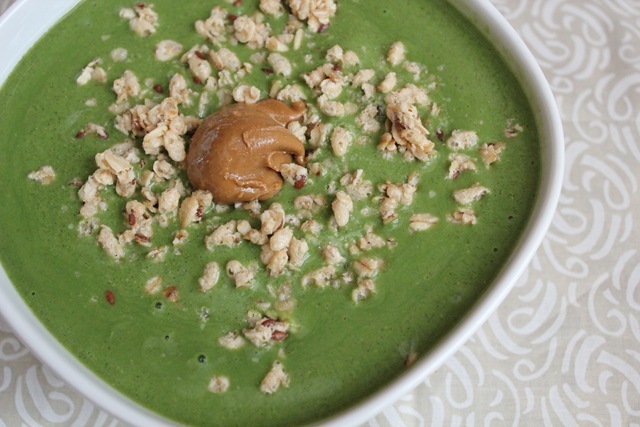 I couldn’t believe how much nutrients were packed into this bowl. It kept me satisfied and full until lunch. I have used Vega products off and on for a year now and I think it’s definitely worth adding it into my breakfast rotation. Vega is currently offering $5 coupon on their Facebook page or you can follow Vega on Twitter so you can be updated on their promotions. Flashback Post –> Attending Vega seminar and meeting Brendan Brazier last year. What is you favorite Vega product? Which flavor of WFHO have you tried? This is pretty cool! I’ve never tried Vega products (I’ve always been a fan of Amazing Grass), but I’m very interested in seeing how the products differ.